A full range of office storage to complement the Jemini range. Jemini Desk High Pedestal - For use on the 600mm or 800mm end of a radial desk. 800mm can be used with standard/wave desks. 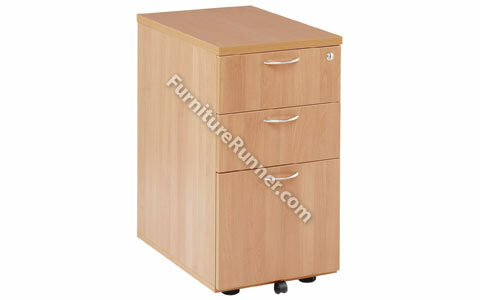 Includes 2 box drawers and 1 foolscap size filing drawer.